If you love stuffing but don’t love the carbs, this keto stuffing with onion and sage is a great impersonation that stands up to a good forking and can be stuffed inside a turkey when multiplied. Add all ingredients into a bowl and combine. Pour into a 6×6 baking dish. Remove and let cool. Use a fork to crumble. Viola, stuffing! Either serve or use to stuff your turkey. Enjoy! 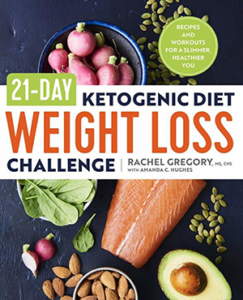 This keto stuffing would be perfect stuffed inside my Black Pepper and Cinnamon Roasted Turkey. 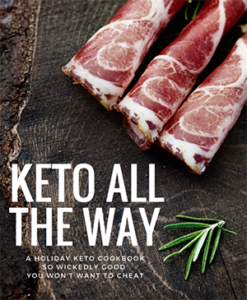 Both recipes come from my holiday cookbook, Keto All the Way! This is a very unique method. I just love your recipes. Thank you for posting.